Balance is a word that those seeking enlightenment and a deeper understanding are well familiar with. Old fashioned martial artists would hone more than just their bodies; they would spend many hours mastering multiple different artistic disciplines, painting, music, poetry, and more. 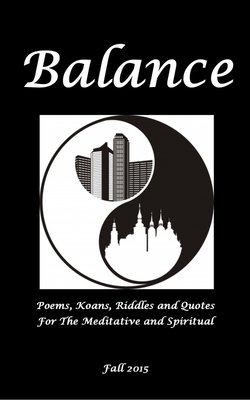 Balance seeks to be a source of 21st century meditative wisdom featuring contemplative poetry, riddles, quotes and Koans that the meditative, the martial artist, the yoga enthusiast, the spiritually inclined or those just seeking to expand their wisdom can sit back with and enjoy. Include your submission in both the body of the email as well as an attachment as a RTF or Doc file. Include the words "Submission" in the attachment. And include with your submission a 3-4 line bio written in the 3rd person.